You know how much I LOVE my Bourjois 1.2.3 Perfect Foundation, you know. That's why I'm super excited about these new additions to the 1.2.3 Perfect name! Result: a luminous complexion and smooth skin in one step. Bourjois 1.2.3 Perfect CC Cream will be available in 4 shades: 31 Ivoire, 32 Beige Claire, 33 Beige Rose,34 Hale (Darkest). 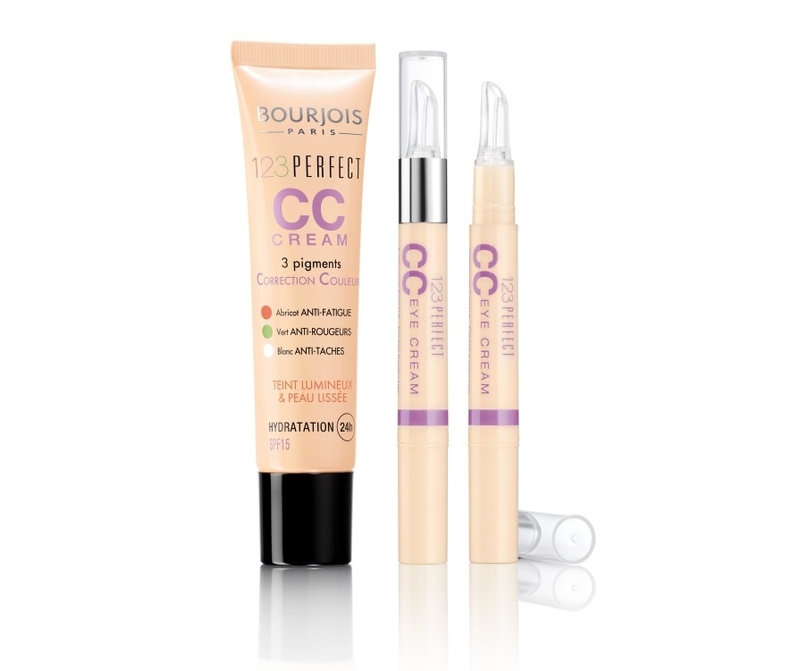 Bourjois 1.2.3 Perfect CC Cream Eye Cream will be available in 3 shades: 21 Ivoire, 22 Beige Claire, 23 Beige Dore. My shades will probably be Beige Claire 32 & 22. They are launching in the UK in 2-3 weeks, so I'd be lucky if I get my hands on them before leaving for India. Otherwise, I'll have to wait! it sounds really promising, and hope it really is so. Life is so unfair! we never get teh best of Bourjois this side of the pond...not to mention we don't have collection 2000, or sleek, or MUA or boots...or pixi glow tonic! I have been waiting for the 123 foundation to come here since i read your review...and now you say there is a cc cream to get excited about already?